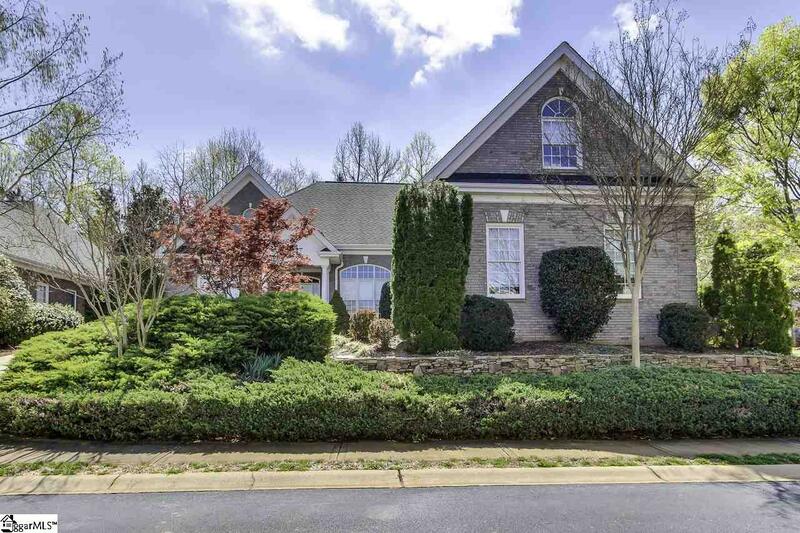 Beautiful home in this wonderful gated community that's just a "chip shot" from Green Valley Country Club and less than 3 miles from Furman University. 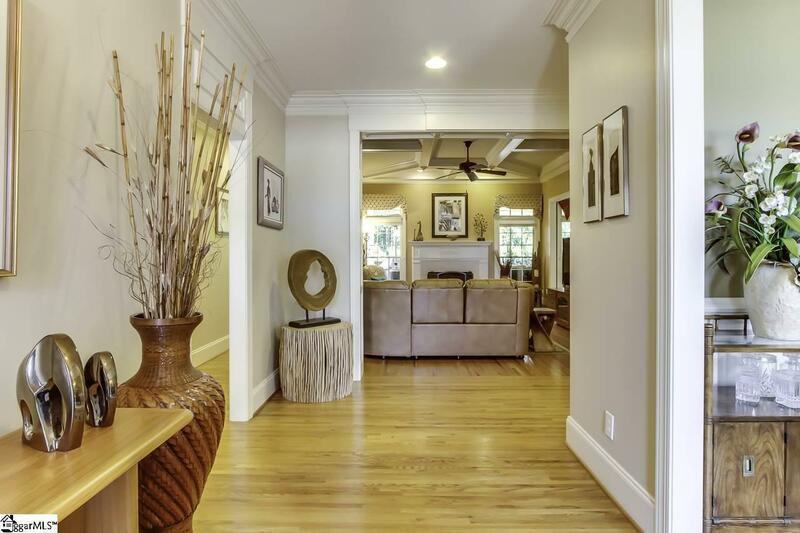 Gorgeous floor plan features hardwoods through main level, including 3 of the bedrooms. The main floor has a "split" floor plan, ideal for privacy. The upstairs Bonus Room is a 4th bedroom and had a private bath, perfect for guests. The heavy molding adds elegant details to the 9' to 11' ceilings, including the Formal Dining room where the crown molding includes "oak leaf" carved accents. The Family Room has coffered ceilings with acanthus medallions on the crossbeams. The Kitchen features custom glazed cabinetry, granite countertops and stainless-steel appliances. Off the kitchen you will find a spacious Keeping Room. The Master Suite on the main level has an incredible walk-in closet and a jetted tub. The outdoor living area has incredible architectural columns define an enormous covered rear porch with cobblestone style brickwork and wrought-iron fencing. The fully sodded lawn, including the level backyard, is supported by an in-ground sprinkler system. Also, don't miss the incredible walk-in attic that has over 200 sq ft of floored storage. 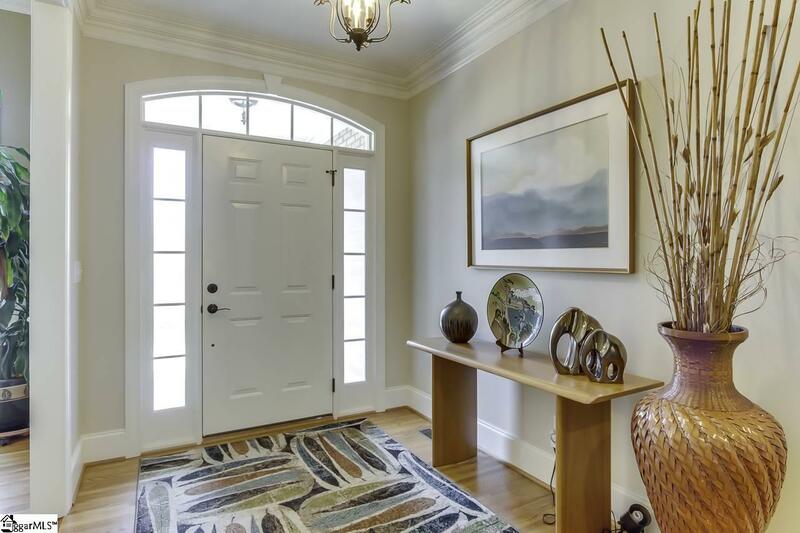 This home also has a security system, central vacuum system and upgraded lighting! 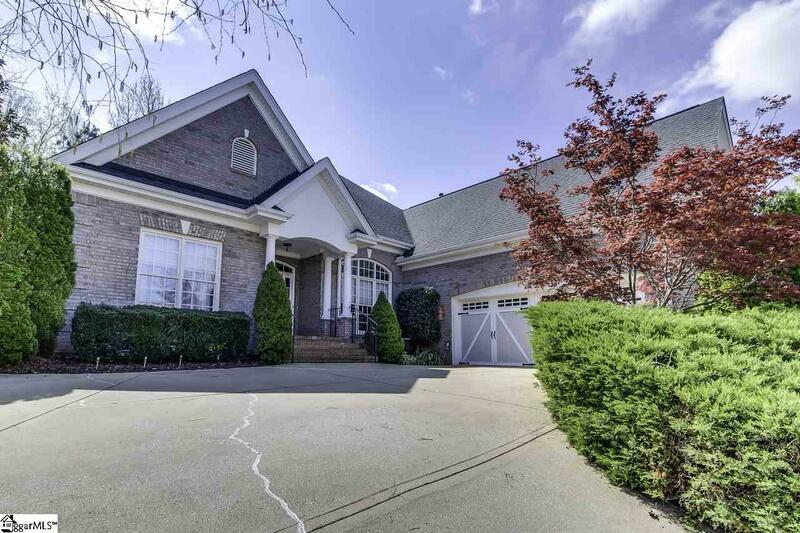 Don't miss the opportunity to own this incredible home!